Bentley sales in the US have been affected by the current credit crunch – though not as badly as less prestigious brands, said the luxury automaker’s engineering director Ulrich Eichhorn. But growing sales in new markets such as China and India have gone a long way to replacing lost sales in America, he says. Sales in the BRIC markets – Brazil, Russia, India and China – will total around 1,000 this year – more than 10% of total Bentley sales. “Motorisation always starts at the top – some very rich people always want the top cars first,” says Eichhorn. 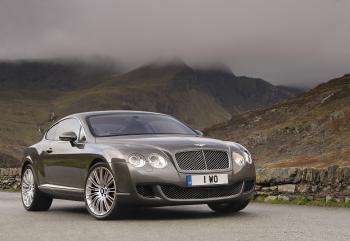 America is still the largest market for Bentley, accounting for 40% of the 9,000-10,000 total sales expected this year. But the weakness of the US dollar means Bentley makes less money on cars sold there than just about anywhere else. Making more Speed versions is easy at Bentley’s Crewe plant. “We have a very high degree of flexibility as we build all models down one track – we can shift production from one to another very quickly,” Eichhorn said. For future technology, Bentley is going eco-friendly. “Over the past five years we have reduced CO2 emissions by 60g/km – a 15% reduction. And we will reduce this by a further 15% up to 2012,” he said. Later, a more radical development is planned. “We will introduce a powertrain that is 40% more efficient than those we use today – without any sacrifice in performance or refinement. 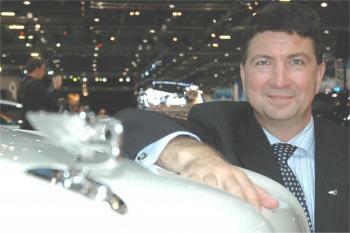 We’re not talking about it yet, but it will be in the market by 2012,” says Eichhorn. “The third leg of our low-CO2 strategy is that all our cars must by 2012 be compatible with renewable fuels – and that has to mean renewable biofuels of the second generation,” he adds.